Sharp’s latest round of cost cutting has seen the Japanese tech struggler grant close to 3,000 staff voluntary retirement, that’s despite the company only setting out to let 2,000 employees go. The company opened the voluntary scheme back in August and it proved to be so popular with employees (well, who wouldn’t want the chance to retire early, with compensation, from a financially crippled firm) that the application period was actually shortened by almost a week due to “oversubscription”. The final count of early retirees comes in at 2,960 — well above the initial 2,000 estimate — each of whom will leave the company on December 15. 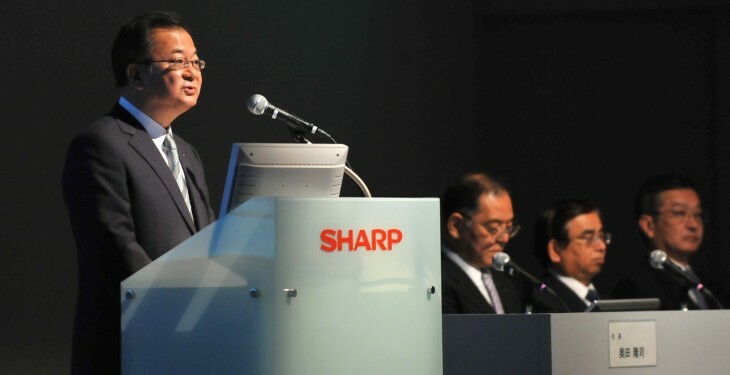 Sharp says that the program will cost it 25.3 billion yen (circa $310 million), and that the expense will be felt in its third quarter earnings, when it will be recorded as an extraordinary loss. Those that were granted voluntary redundancy have actually done rather well, considering that Sharp announced plans to cut 11,000 jobs in September. Increased competition and lower prices have seen Sharp’s financials descend into dire straits, but there is hope for the 100-year old company. It is still waiting on Foxconn parent company Hon Hai to make a final decision on whether it will buy a near-ten percent stake in it. The Taiwanese manufacturer has cooled its interest following the slide of Sharp’s sale price following poor final performance and the flooring of its credit rating, although the two firms look set continue negotiations until at least March 2013. Sharp did have reason to be cheerful last week, however, when speculation that chip giants Intel and Qualcomm would plough $378 million into the company caused its shares to leap up ten percent in value. The company was also boosted in September when it landed a key deal to provide $4.6 billion in loans to help it finance debt repayments.